What a bumper posting – so much to enjoy and something for everyone! Many thankx to Martin-Gropuis-Bau for allowing me to publish the artwork in the posting. Please click on the photographs for a larger version of the image. “The exhibition project Pacific Standard Time – Art in Los Angeles, 1950-1980 traces the development of the Los Angeles art scene during the post-war period, when the city on the Pacific hosted an impressively varied and versatile art scene, thus proving that it was more than Hollywood and a sprawling metropolis in the land of sunshine and palm trees. Pacific Standard Time features such internationally esteemed artists as John Baldessari, David Hockney, Edward Kienholz or Ed Ruscha as well as protagonists that are yet to be discovered like the abstract painters Helen Lundeberg and Karl Benjamin, the ceramicists Ken Price and John Mason, and sculptors such as De Wain Valentine. The mega show – over 60 institutions and galleries in Los Angeles were involved – is taking the two main core exhibitions of the Getty Museum and the Getty Research Institute to Europe. The sole European venue is the Martin-Gropius-Bau in Berlin. 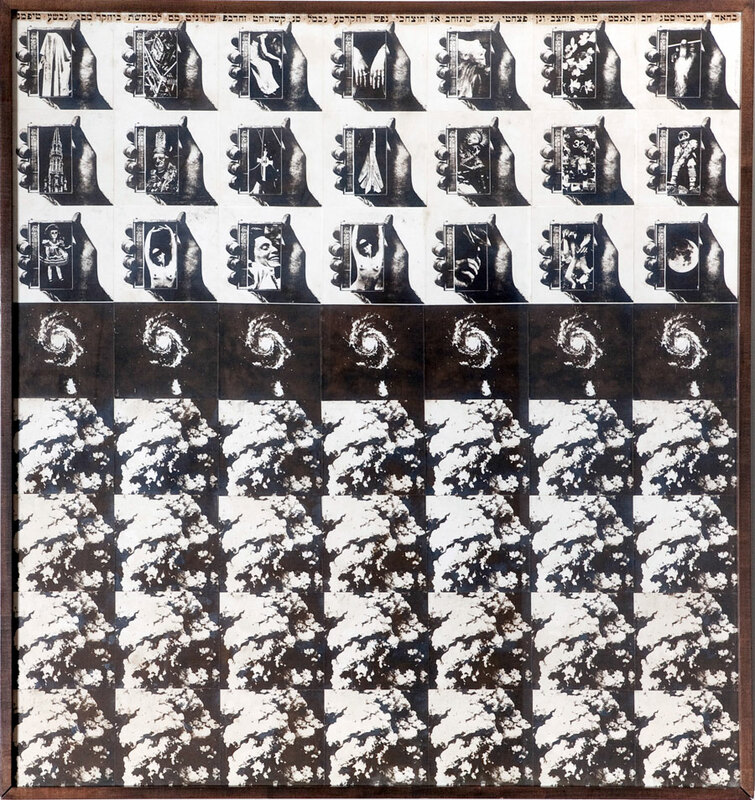 The section of the exhibition that was to be seen in Los Angeles’ Getty Museum under the title of Crosscurrents in L.A. – Painting and Sculpture, 1950-1970, presents painting and sculpture. In the second part that was to be seen in Los Angeles under the title of Greetings from L.A. – Artists and Publics, 1950-1980, posters, artists’ catalogues, postcards, invitation cards and other memorabilia are shown which offer a deeper insight into the networks of the Los Angeles art scene at that time. 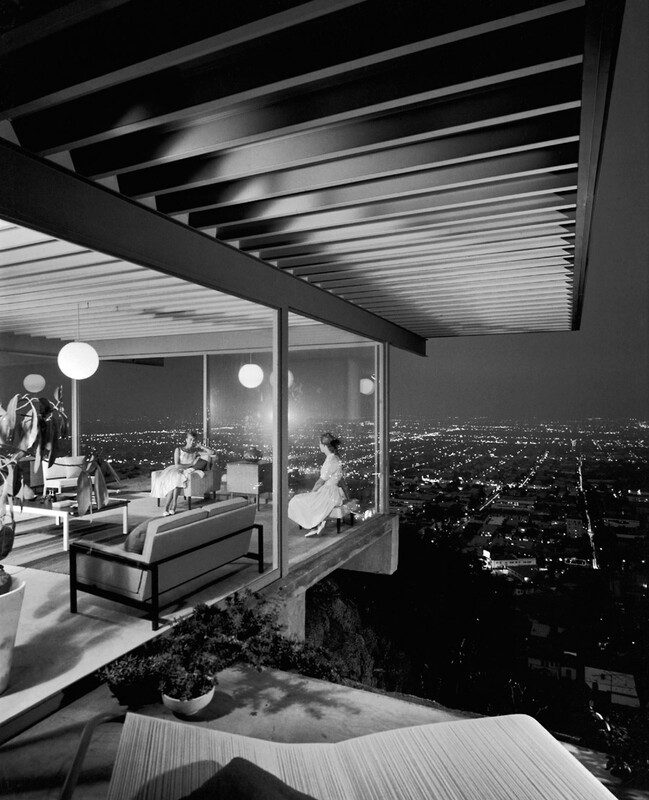 For Berlin the show has been supplemented to include photographs by Julius Shulman, whose architectural shots defined the image of the Californian lifestyle in the 1950s. His incomparable sensibility and intuitive feel for composition and the ‘critical moment’ established him as a master of his craft. The first part of the Berlin show brings together more than 70 works by over 50 artists and traces the rise of the Southern Californian art scene between 1945 and 1980. The list of names reads like a Who’s Who of today’s internationally esteemed artists, as people like John Baldessari, David Hockney, Edward Kienholz, Bruce Nauman or Ed Ruscha began their careers here. 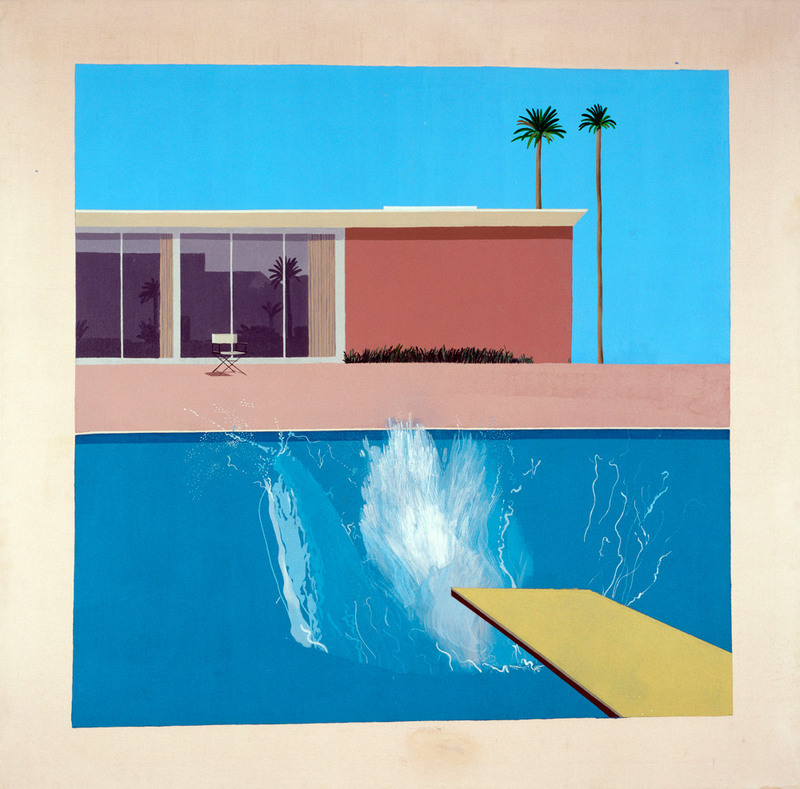 The entrée into Pacific Standard Time begins with British artist David Hockney’s iconic painting A Bigger Splash from the year 1967. It is one of the key pictures of the exhibition and stands for the hedonistic life under palm trees with permanent sunshine and never-ending parties. The exhibition is structured both chronologically and thematically, comprising six sections that reflect the entire spectrum of the art trends that sprang up simultaneously in Los Angeles. Abstract works – ceramic sculptures and paintings of bleak clarity – are to be seen in the first section. 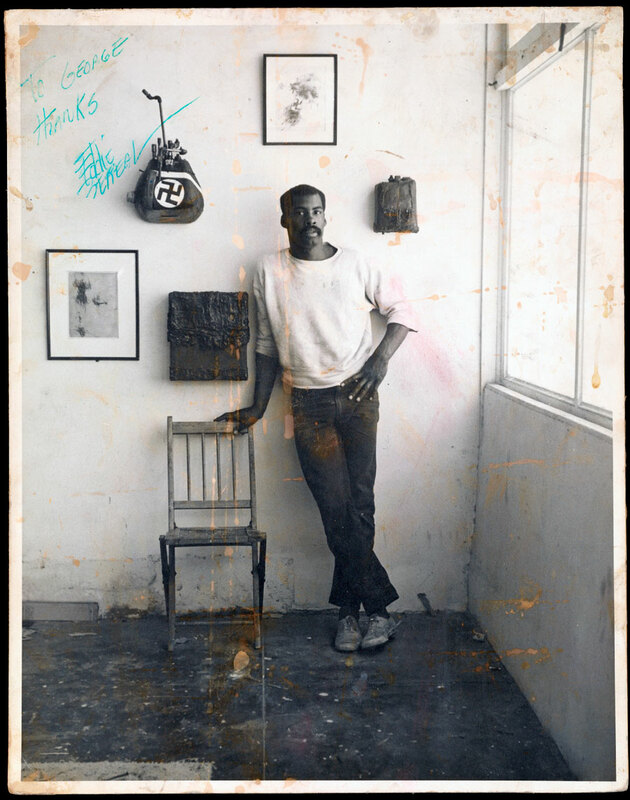 The second section shows assemblage sculptures and collages by artists like George Herms, Wallace Berman and Ed Bereal, who paved the way for this artistic approach in the 1950s, and their successors, including many African-American artists. The third section documents the rise of Los Angeles to become an important art centre, while the fourth shows paintings by internationally recognized Los Angeles artists as Richard Diebenkorn, David Hockney and Ed Ruscha. It becomes clear that Southern California was one of the leading centres for large-format pop art and abstract painting in the 1960s. The fifth section examines how, at a time when painting was growing in significance on the Atlantic Coast of the USA, artists on the West Coast were beginning to extend their notions of traditional painting and sculpture, with perceptual phenomena and the material processes of artistic production coming to the fore. 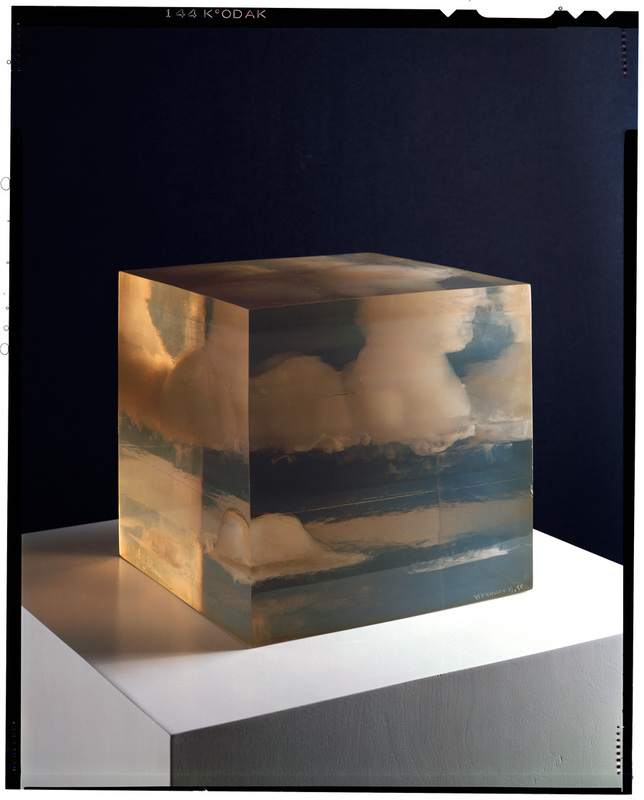 Here we find works that have arisen out of a collision between art and technology, such as a sculpture by De Wain Valentine, who uses industrial materials like polyester casting resin, or a canvas by Mary Corse, into which the smallest, high-grade reflecting glass microspheres have been worked. We are also introduced to a group of artists whose works show traces of their creation, such as those of Joe Goode, Allan McCollum, Ed Moses and Peter Alexander. Berlin is supplementing the Getty exhibition by devoting a special room to the early interna-tional perception of art in Los Angeles. 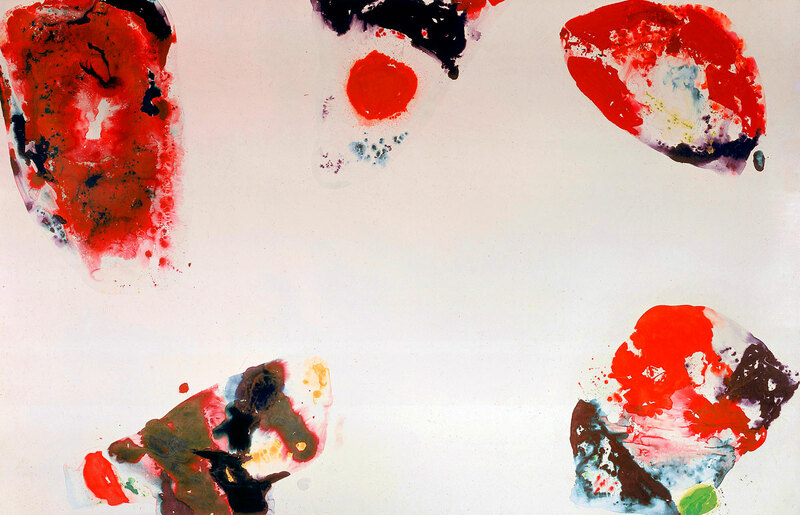 It will feature the works Berlin Red by Sam Francis, a 8 x 12 meter painting that was commissioned by Berlin’s Neue Nationalgalerie in 1969, and Volksempfängers (People’s Wireless) by Edward Kienholz. As a DAAD scholar Kienholz often lived in Berlin from 1973 on. Another distinctive feature of the exhibition are the various room installations, including Stuck Red and Stuck Blue by James Turrell and Four Corner Piece by Bruce Nauman. In 1966 Turrell began working on his Light Room installations. In the work displayed in the Martin-Gropius-Bau that he designed in 1970, he uses light to dissolve the borders of spatial structures and transform them. In his Four Corner Piece from 1971 Bruce Nauman creates a particular spatial experience through the interplay of physical information vs. visual infor-mation. Part Two: Greetings from L. A. In the second part of the exhibition, elaborated by the Getty Research Institute, the Martin-Gropius-Bau shows over 200 objects – photographs, artists’ catalogues, books, posters, postcards, invitations, letters and artworks, of which many are on public view for the first time. We are given a sense of how Californian artists, through the involvement of a wide audience, brought art into contact with the general public. We also see how intensely the international networks linking groups of artists functioned. Greetings from L.A. begins with Making the Scene and describes the gallery scene in Los Angeles from the 1950s to the 1970s. 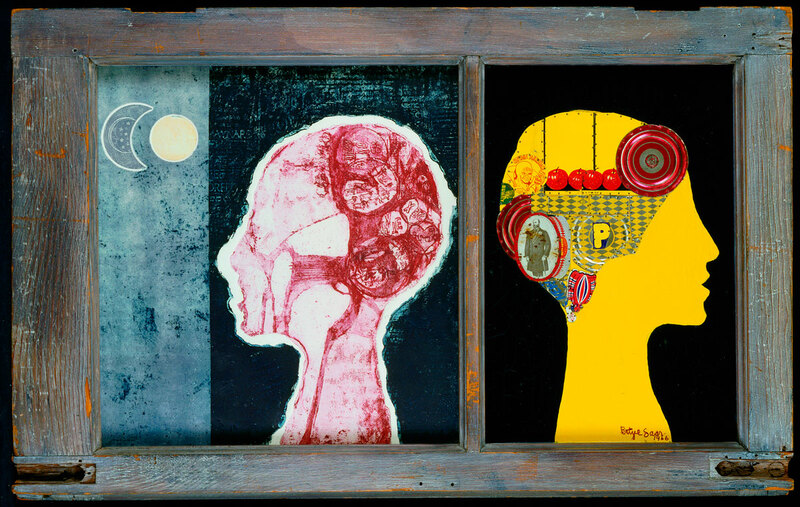 We are introduced to art dealers and collectors of the kind who congregated at La Cienega Boulevard – Rolf Nelson, Riko Mizuno and Betty Asher. On this gallery-lined boulevard, which crosses the Sunset Boulevard immortalized by Ed Ruscha, the reputation of Los Angeles as a city of modern and contemporary art was made. Public Disturbances, the second section of the show, is devoted to three important exhibitions which drew fierce criticism and even led to arrests. 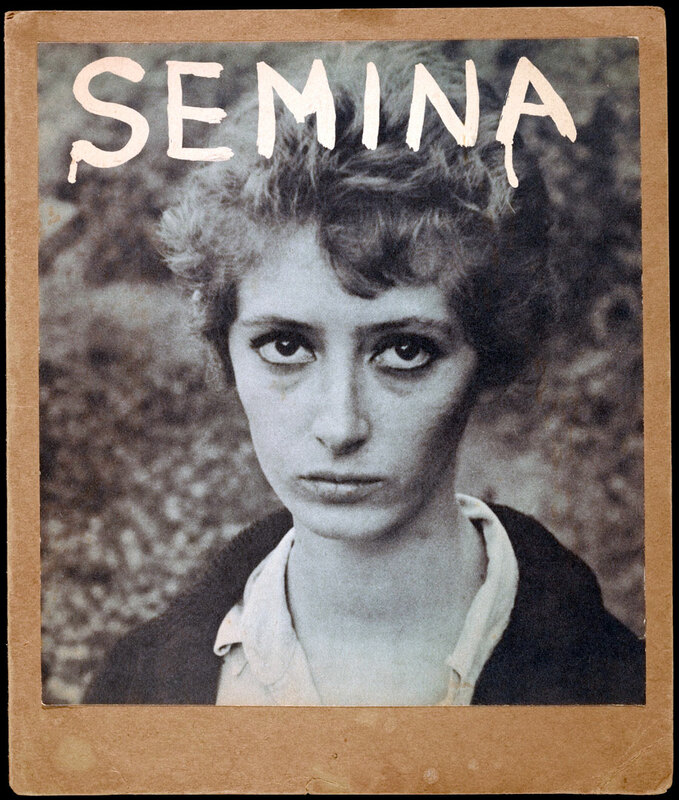 Wallace Berman’s 1957 exhibition in the Ferus Gallery was closed down by the police. Violent controversies were triggered by the War Babies exhibition (1961) in the Huysman Gallery. There were also strong differences of opinion between the Los Angeles County Museum of Art (LACMA) and the Los Angeles County Board of Supervisors over the inclusion of Kienholz’s installation Back Seat Dodge ’38 (1964) in his grand retrospective of 1966. The Private Assembly section of the exhibition focuses on the works created by Wallace Berman, George Herms, Charles Brittin and their circle in the 1950s and 1960s. The intimacy of these objects is explained not only by the unmistakable traces of artistic authorship they bear, but also by the fact that they were only accessible to a select, non-public audience. Mainly active outside the commercial gallery scene, this group of assemblage artists concentrated their energies on private artworks, which they handed over personally or sent by mail as a token of friendship. The fourth section, Mass Media, introduces artists who selected the mass media as a model for their own art. 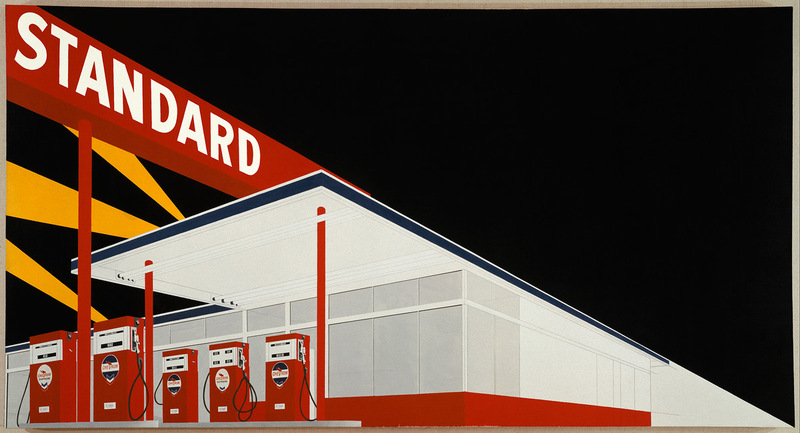 Ed Ruscha, Allen Ruppersberg and Chris Burden occupied themselves with popular culture and mass production as alternative means of production and distribution. They used impersonal forms, such as those of objects or advertising materials commercially produced and sold as consumer goods. By avoiding conventional exhibition rooms, these artists reached a new public. They often exhibited anonymously, thus making the identity of artist and work secondary. Art School as Audience, the fifth section of the exhibition, sheds light on the important role of art schools in the development of contemporary art forms. They served as the static pole, because in them artists constituted the audience of other fellow artists. The California Institute of the Arts, commonly known as CalArts, and its predecessor, the Chouinard Art Institute, were key venues for important groups of artists, as can be seen from the works of such students as Ed Ruscha and Joe Goode, and such teachers as John Baldessari, Miriam Schapiro and Judy Chicago. Other important forums were the new art faculties that came into existence at the universities and other higher education facilities in Los Angeles County. 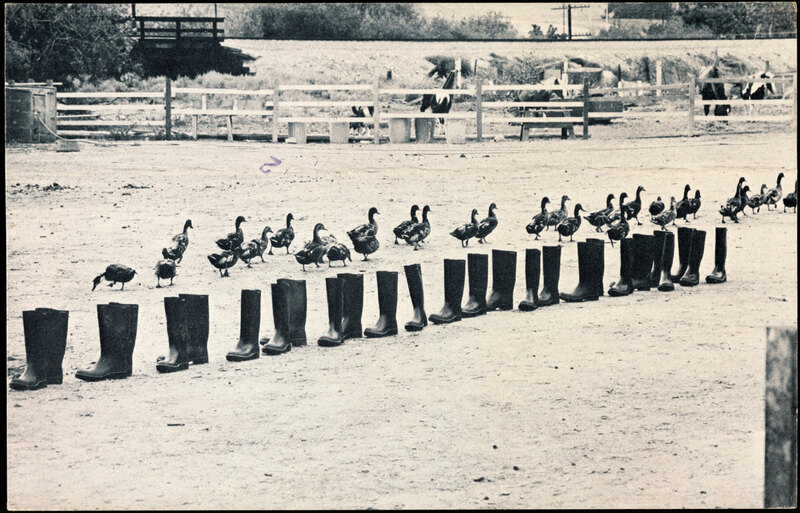 At the campuses of Irvine or San Diego in particular there was a stimulating audience for the experiments of such artists as Martha Rosler, Barbara Smith and Eleanor Antin. The last section, The Art of Protest, examines how social and political developments mobilized artists to display their works in the street. 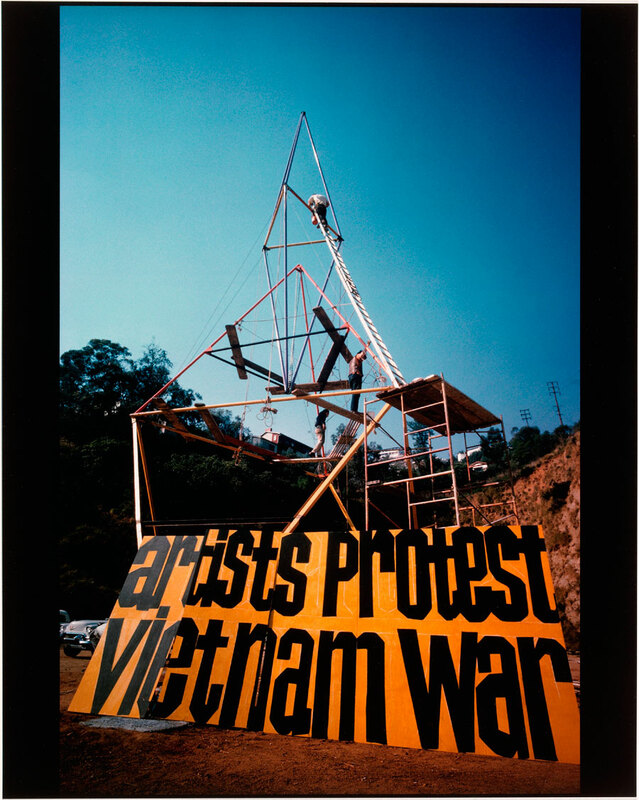 In the 1960s Los Angeles became the scene of the first protests led by artists against the Vietnam War. This gave rise in 1966 to the construction of a Peace Tower at the corner of La Cienega and Sunset Boulevards. In the following decade it was feminism that moved many artists to become social activists, as can be seen from the work of Suzanne Lacy and Leslie Labowitz-Starus In Mourning and in Rage 1977, a highly esteemed protest performed on the steps of City Hall. Greetings from L.A. offers a new look at art in Southern California by showing how the artists of this region changed the conventional relations between art and public and developed alternatives for a public role of art and its place in society. The exhibition affords glimpses into some recently acquired archives, like those of Betty Asher, Hal Glicksman, George Herms, Wolfgang Stoerchle, High Performance magazine, the galleries of Rolf Nelson, Mizuno and Jan Baum as well as of the papers of Charles Brittin and Edmund Teske. These are supplemented by material from archives not normally associated with Southern California, such as the papers of the critics Irving Sandler, Barbara Rose and Lawrence Alloway of New York; of Marcia Tucker, the founder and curator of New York’s New Museum of Contemporary Art; and of the Kasmin Gallery, London. The last part of the Berlin exhibition shows over 50 photographs by Julius Shulman – the most important American photographer of architecture in the post-war period. 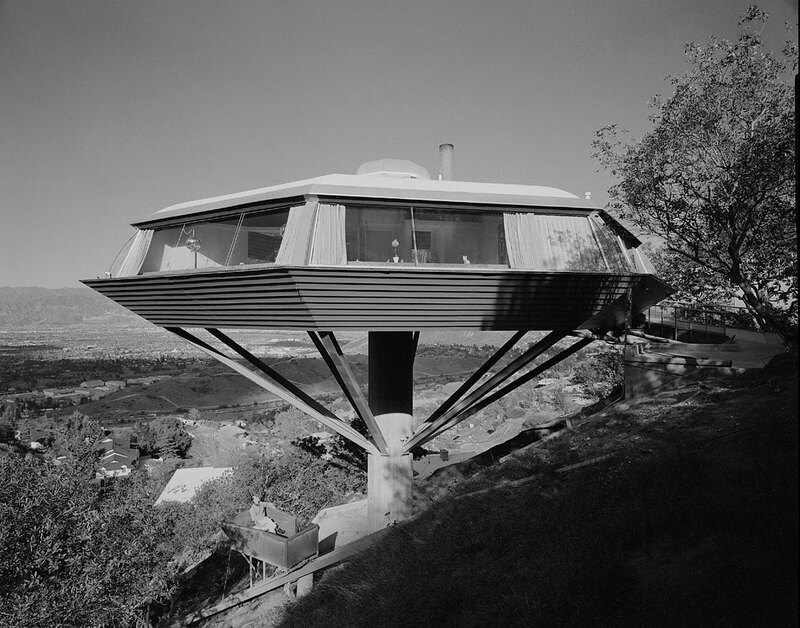 For more than thirty years he photographed Modernist houses – built by Richard Neutra, Frank Lloyd Wright, or Frank Gehry – thus making many of them into architectural icons. The exhibition shows some of his key works.